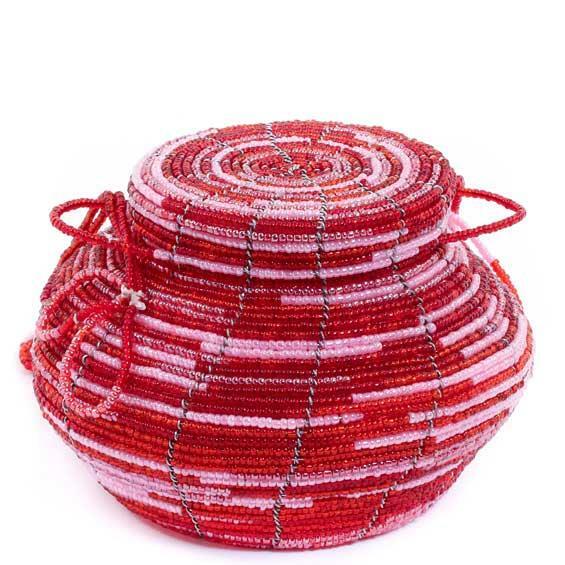 A fun accessory for that special occasion, this handmade, Fair Trade purse is meticulously woven using wire and shimmering glass beads. You will receive the exact purse pictured above. This charming purse features a beaded "bow" on each side, where the long shoulder strap attaches. The strap passes through a loop on each side of the lid, so the lid stays attached to the purse when it is opened.